spend a month in the village of Gowa. There, students learn about Malawian culture, language, economics, and political life while living with local villagers. 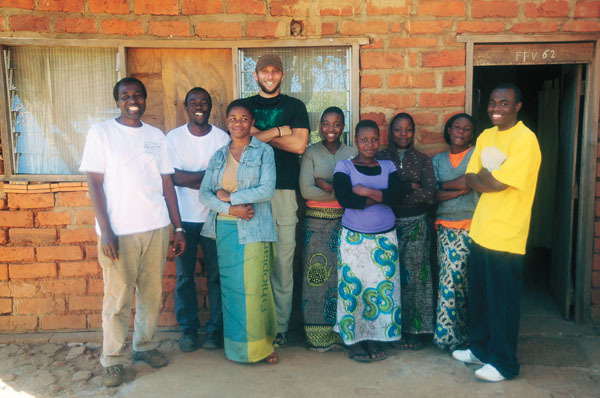 Hamlin returned to Malawi this summer, after studying abroad in Kenya, to continue learning about the villagers’ energy use. Other student projects have focused on exploring folk tales in the region, the rituals surrounding agricultural activities, and the local bartering system. Besides the research component, the program is also service-oriented, but Lanning emphasizes that the service work is directed by the needs and desires of the members of the community. The students help where their help is needed. Malawians are “capable of building schools, they make bricks and have carpenters, and they don’t need us to do that. What they may need is better access to resources,” he says. The cooperation between the locals and the student visitors makes the program a sustainable, two-way learning experience. This summer, Drue Sokol ’13 is spending a month searching for monkeys in the tropical forests on an island near Puerto Rico. Her days start early, with a boat ride to tiny Cayo Santiago, home to around 1,000 free-ranging rhesus macaques. She, Matias Piva ’14, and Lauren Wolfe ’15, will spend hours each day approaching the monkeys in the hope of showing them a variety of objects to test their ability to count, evaluate size, and make choices. The students are taking part in research projects organized by Benjamin Hayden and Jessica Cantlon, assistant professors in the Department of Brain and Cognitive Sciences, and with Andrew Elliot, professor in the Department of Clinical and Social Psychology, who are collaborating on a project that is aimed at studying the decision-making process of primates. The undergraduates will be led and supervised by postdoctoral fellow Kelly Hughes. One goal is to help understand the evolution of human cognition. “A lot of developmental hypotheses that people come up with for why children do certain things at certain ages [are] tied to language or other things that would have a heavy cultural component, or a heavy experiential component that’s uniquely human,” says Hughes. However, research has shown that monkeys, who diverged from an ancestor common to humans about 25 million years ago, exhibit the same sorts of attractions and aversions that people do. The students will have opportunities to test hypotheses and analyze results, working directly with the primate inhabitants of Cayo Santiago, who are so used to humans that they willingly approach them. “Students get a lot more experience with the scientific method than you do in most other brain research that you would do here or anywhere else,” says Hayden. 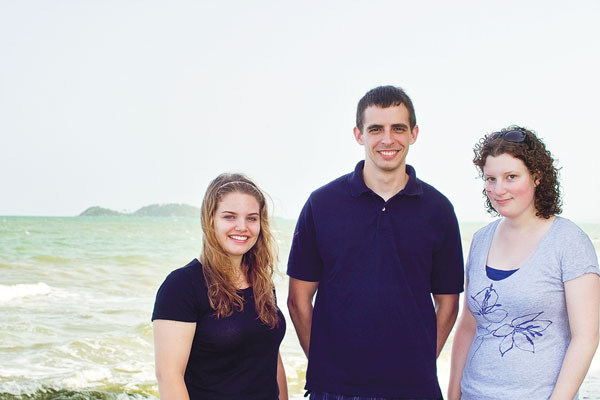 The opportunity to conduct research on the island is unique not only because of the undergraduates’ involvement. Getting access to Cayo Santiago is extremely difficult. Currently, research groups from Harvard, Yale, Chicago, and Duke vote on who can join them. “We’re joining a very elite club,” Hayden says. Nestled in the Himalayas, Ladakh, India, is home to a population that has, until recently, been fairly isolated from the rest of India and the world. But an influx of tourism has brought new wealth as well as a looming public health crisis. Smoking, especially among young people, has skyrocketed, and India is poised to lose more lives to smoking in the next generation than any other country. Last year, three undergraduates, led by Nancy Chin, professor of community and preventive medicine, traveled to Ladakh, a district in the state of Jammu and Kashmir, to research tobacco use among the local youth. Chin and Rochester undergraduates are collaborating with health organizations and advocacy groups in Ladakh to research the patterns of tobacco use and design intervention strategies for the community. “We had an idea of what our skills were and what our interests were, but we kind of left it to the community to tell us what they needed from us,” says Anupa Gewali ’12, a public health major from Henderson, Nev., who has since landed a job with GlobeMed, a Chicago-based global health and social justice organization. She returned to Ladakh to help lead a new group of students this summer. The research experience and “actually impacting the health of a living, breathing community” helped her to decide to pursue employment in the field. Afterward, it was “easy to see how a public health major translates into a public health career,” says Gewali. The members of last summer’s group—Gewali, Emma Caldwell ’13, and Karishma Dara ’12—presented their research at national conferences and were teaching assistants in Chin’s Public Health 101. The public health major is “highly theoretical,” says Luke Slipski ’13, who is traveling to Ladakh for the first time after hearing about the project from his TAs. “This hands-on research that I’m getting this summer is going to be really beneficial.” A native of Canfield, Ohio, he’s also planning for a career in public health and wants to travel around the world to work on such intervention projects. Chin hopes that she and the students will help the Ladakhis establish a long-term project to curb smoking in the community, especially among youth. The intervention has to target individuals as well as groups through peer education, institutional health education, and public policy. But a lot of preliminary data collection and analysis has to happen first. 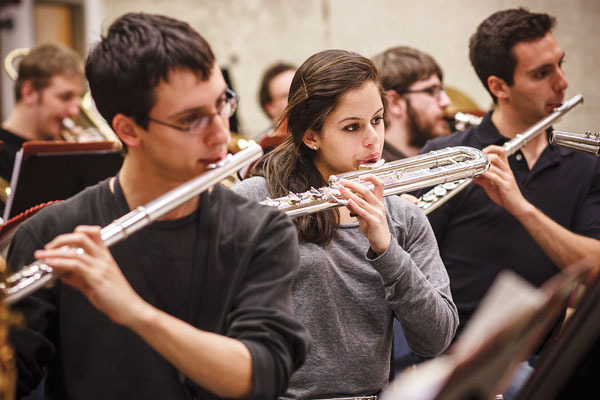 Saxophonist Alexa Tarantino ’13E has spent part of the spring honing her skills with the flute, clarinet, bass flute, bass clarinet, oboe, and bassoon. The expanded repertoire is part of an effort undertaken by members of the Eastman School’s Chamber Jazz Orchestra to bring to life a previously unrecorded collection of music by legendary jazz composer and arranger Gil Evans. The ensemble first played some of the music in March 2011 at St. Peter’s Church in New York City. This summer, they will perform at the Xerox Rochester International Jazz Festival in June and at Italy’s Umbria Jazz Festival in July. Because Evans composed for an unusual array of instruments, the ensemble’s musicians have had to extend their typical range. The music and the performances have grown out of a scholarly initiative that has put the Eastman School at the epicenter of a remarkable discovery in the world of jazz. About three years ago, Ryan Truesdell, a young composer and assistant to Grammy Award winner Maria Schneider ’85E (MM), was granted access to the archives of Evans, where he discovered more than 40 never before recorded or released works, a true gold mine from a composer who arranged for the likes of Miles Davis and Astrud Gilberto. When it came time to decide who would have the privilege of playing the music for the first time, Truesdell contacted Dave Rivello, an old acquaintance, a fan of Evans, and an assistant professor of jazz studies and contemporary media at Eastman. The Chamber Jazz Orchestra is scheduled to play six concerts at the Umbria festival. For some students, it does not take a trip to the other side of the globe to discover communities in need of their skills and resources. Sometimes all they have to do is cross the Genesee River. Need a course in Russian? Check. Video production? Got it. Organic chemistry? Of course. 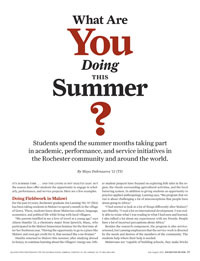 Summer academic sessions are not what they used to be, says Tom Dipiero, dean for humanities and interdisciplinary studies who oversees summer academic offerings for Arts, Sciences & Engineering. The College has added more courses to the six- and four-week sessions offered each summer as part of an effort to give students more flexibility in planning their overall academic goals. “We’re tying to make the summer look more like a regular semester,” says DiPiero, who notes that students are increasingly enrolling for courses over the summer so they can take advantage of other opportunities in the fall and spring, such as study abroad or other initiatives. The Urban Fellows program provides students with the opportunity for civic engagement, while they educate themselves on urban and cross-cultural issues in the city of Rochester. During the 10-week program, each student interns with a local nonprofit organization dedicated to addressing needs of the community, from health care, to housing, to education. The students also spend time connecting with the local culture through weekly social outings in the city. The third component of the fellowship is a weekly seminar devoted to exploring the wider sociopolitical and economic context of the issues students encounter through their internships. “I had grown up in Canandaigua [N.Y.] all my life and technically had been into Rochester, and I feel like I’ve learned so much and discovered so much about the city that I’d never known before,” says Elizabeth Riedman ’13, an anthropology major. An Urban Fellow last summer, she’s returning to the program, helping lead and plan activities for new students. She describes her first internship as an eye-opening experience. “I feel a lot more connected,” she says, noting that the program has made her consider staying in the area for at least a few years after graduation. Glenn Cerosaletti, director of the Rochester Center for Community Leadership, says many students find the program changes their perspectives about the communities in which they live and go to school. Students from across the University take part and often leave thinking about ways they can help the community. “The Urban Fellows program has proved to be a transformative experience for many students,” he says. Many students seize the opportunity provided by the summer to hunker down in the classroom, studying one subject with a focus hard to achieve during the regular academic year. says Lai, who’s from Changchun, China, and who plans to double major in classics and in archaeology, technology, and historical structures. Meeting for two hours each weekday for six weeks, the students learn the basics of grammar, syntax, and vocabulary, and in the last two weeks, concentrate on reading. Lai and Gresens agree that one of the best things about the course is the speed with which students achieve reading knowledge of Latin. As they delve into the words of Catullus, Ovid, and Virgil, they move beyond the study of language to an “exploration of humanity,” Gresens says. 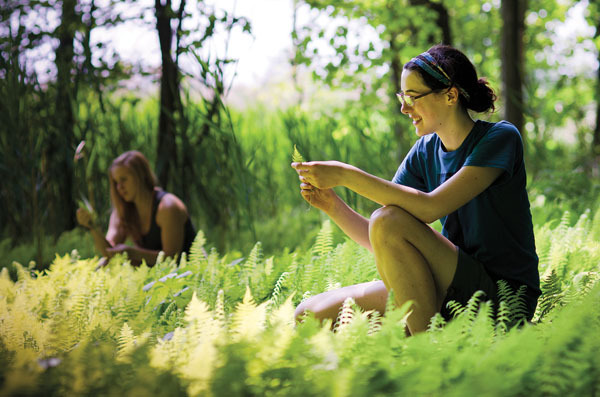 Taylor Hubble ’15 is discovering that the University is home to an ecological laboratory—one that most students, faculty, and staff take for granted, if they notice it at all. Hubble, who plans to major in environmental sciences or in evolutionary biology, is helping identify and catalog vegetation and tree species in a stand of old-growth forest on the South Campus. Currently in its third summer, the program selects six students from as many as 40 candidates. Faculty, along with administrators from campus offices, agree to sponsor interns for projects. Hubble is working with Justin Ramsey, assistant professor of biology, and his wife, Tara Ramsey, a research associate in the biology department. Together, the Ramseys have been working for the past several years on a project to study, catalog, and preserve the forest ecology of the South Campus, which includes about 15 acres of old-growth forest, and to share information about the area. The stand of red oak, sugar maple, beech, hickory, and other species has been largely untouched through generations of settlement, one of several small “urban forests” in the area. Hubble and fellow student Olivia Morgan ’13, a participant in the National Science Foundation’s Research Experiences for Undergraduates program, are helping to maintain and develop the area’s trail system to improve access for visitors, removing invasive species, and working on other aspects of the project. Hubble says the work has increased her interest in making sustainability a key part of her future. For students of history, research experience is usually confined to books and archives. A new archaeology field school in Bermuda is allowing a group of undergraduates to work in a veritable history lab. 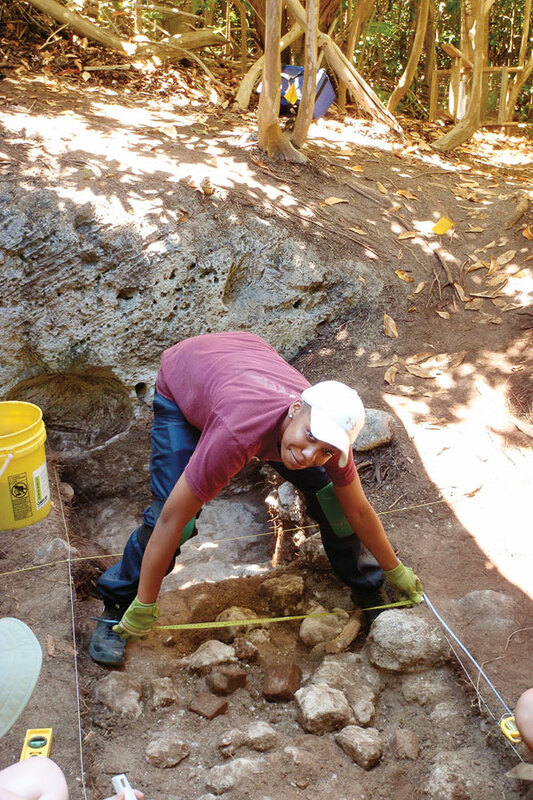 In a project that combines history, archaeology, and anthropology, Michael Jarvis, associate professor of history, is leading a dig to explore settlements dating to the 17th century on the Atlantic island. Quarin Bey-Muhammad ’13, a history and philosophy major from Syracuse, hopes the experience will set her history background apart. Maya Dukmasova ’12 (T5) begins graduate degree work at the University of Cambridge in the United Kingdom this fall.